Staircase business meeting turned into a lovely lunch at our favourite viet thai restaurant the other day. They have the narrowest, crunched together parking lot in the western hemisphere. 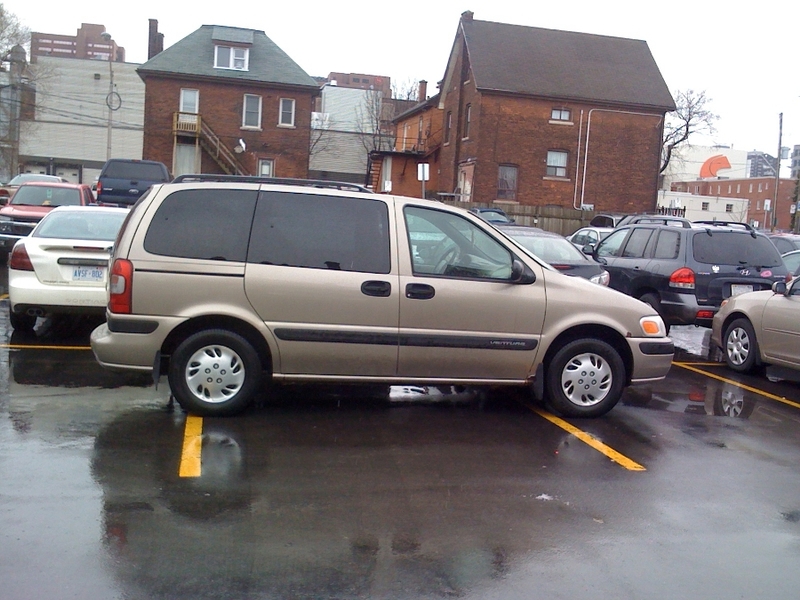 This driver took the parking situation into her/his own hands. I would call this three for one parking if it were a pizza place. Thanks to Maggie for snapping the photo as my phone is getting a new glass screen. Wow! I would have left a note that time!